Geneva W. Mummert, 89, Carrolls Tract Road, Orrtanna, PA died Saturday, February 2, 2019 at the Chambersburg Hospital. She was born August 13, 1929 in Orrtanna, PA the daughter of the late Maurice and Ruth Warren Stansberry. Geneva was predeceased by her husband, Calvin W. Mummert. 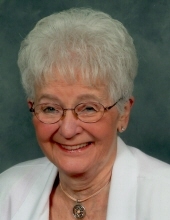 Mrs. Mummert was a member of the Orrtanna United Methodist Church. For many years she was employed as a beautician at the Gettysburg Lutheran Home. Geneva was a member of the Orrtanna Senior Citizens and the Hanover Organ Club. She enjoyed bingo, crossword puzzles and crocheting. Geneva is survived by three children; Donna Walker and her husband Alton of Orrtanna, PA, Carla Sanders and her husband Bill of Biglerville, PA, Kevin Mummert of Orrtanna, PA, four grandchildren; Billy Sanders, Michael Sanders, Elizabeth Walker, Bailey Mummert, two great grandchildren; Ryleigh and Reese. A Memorial Service will be held Saturday, February 16, 2019 at Monahan Funeral Home, Fairfield, PA at 2:00 PM with Rev. Ken Aker officiating. The family will receive friends at the funeral home from 1:00 Pm until the time of the service. In lieu of flowers memorials can be made to the Orrtanna United Methodist Church, 1717 Carrolls Tract Road, Orrtanna, PA 17353 or the Adams County SPCA, 11 Goldenville Road, Gettysburg, PA 17325. Online obituary and condolences available at monahanfuneralhome.com. "Email Address" would like to share the life celebration of Geneva W. Mummert. Click on the "link" to go to share a favorite memory or leave a condolence message for the family.